Little boy can't wait to be baptized...minister is taking too long, so he does it himself himself! Hilarious! So funny. 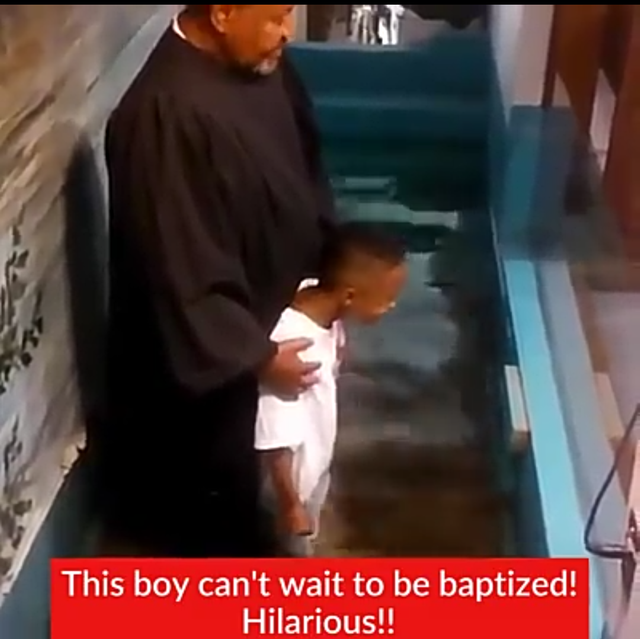 He is very eager to be Baptized. Amen. Thank you for your post. I'm looking forward to see more.